I am definitely someone who wears little colour, although I am currently in the midst of trying to change that and find my style/wardrobe and beginning to try and draw myself to prints and a little colour. But that's another story. Living in England we are graced with glorious weather that likes to shine sun and then within a second it can change to pouring down with rain. So for weather that's as crazy as what we get to experience I like to always carry round a layer with me. Usually I just go with covering my legs, I don't know what it is but I always feel warm with my legs covered. This year I have tried to embrace it the other way round and what better way to stay warm than teaming a dress with a leather jacket. 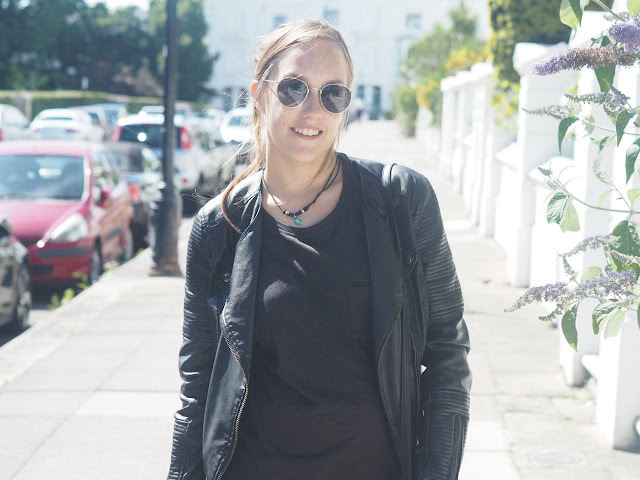 There is just something about teaming a black leather jacket to a black outfit even in the summer that makes you feel put together but with minimal effort, throw in a pair of sunglasses to any outfit in the summer in fact and I think you can look really chic. 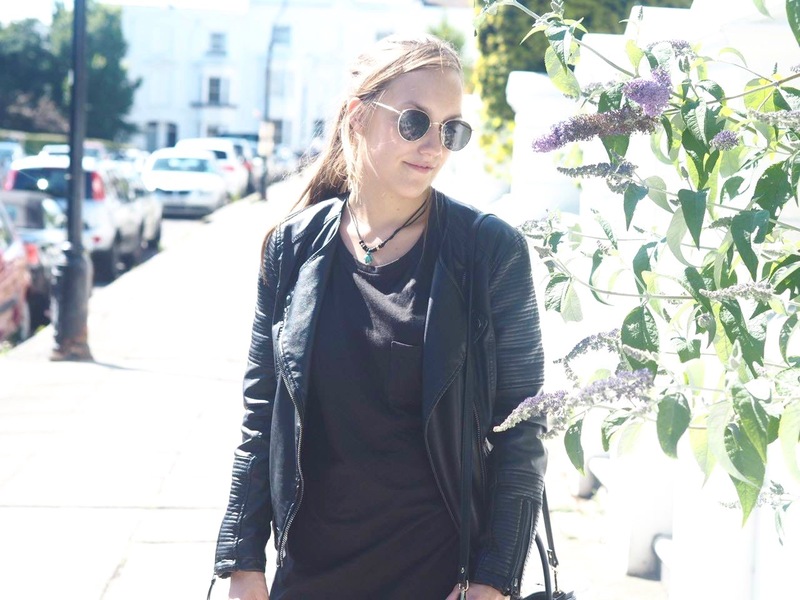 Not to mention the look a leather jacket can give to those girly looking outfits! Of course I opted to add in some white to this outfit with the converse but when you're strolling around town all you really want is a lot of comfort. 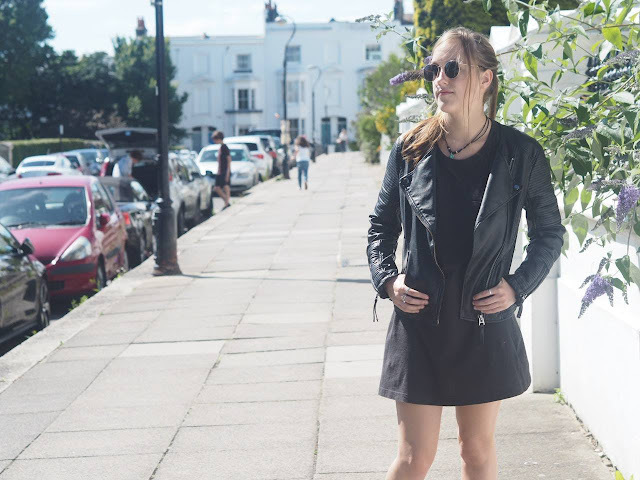 This dress I got a few years ago after purchasing the white one which you can see in this post, and honestly I bring this back out every year, I just think they're so easy to wear when it's hot but you can really style them how ever you want because of how plain they are. I mean who doesn't want basics that they can play around with in their wardrobe?! Haha my friends always make fun of me for wearing 99% black in the summer.. But I just love it! haha me too! I think we look really chic and put together in all black! What a nice outfit!! The dress is so cute!